Kaylie’s overjoyed that New Mexican green chile will be available in San Francisco – probably because anyone worth their salt who grew up in New Mexico moves to SF. I can think of an overflowing handful of New Mexicans I know there myself – including Kaylie’s little brother. 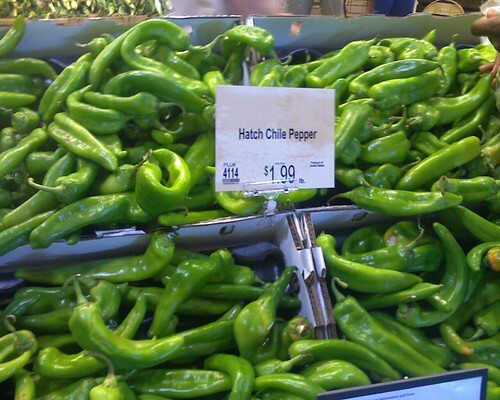 If you haven’t boarded the green chile train yet, I recommend it. As a non-New Mexican, I have certainly grown to love it, and I know you will too. Plus, then you’ll have it in your kitchen for our recipes. This entry was posted in Food, Vegan News on August 23, 2010 by malloreigh.